Gorilla trekking in Uganda is the greatest, most unique adventure I can imagine. Putting it on my bucket list seemed like putting go to outer space yet Africa Adventure Safaris are specialists in creating a gorilla trekking itinerary. Below you will find my 5 day gorilla trekking itinerary that includes gorillas, chimps, hippos, crocodiles, elephants, buffalo, and tree climbing lions. 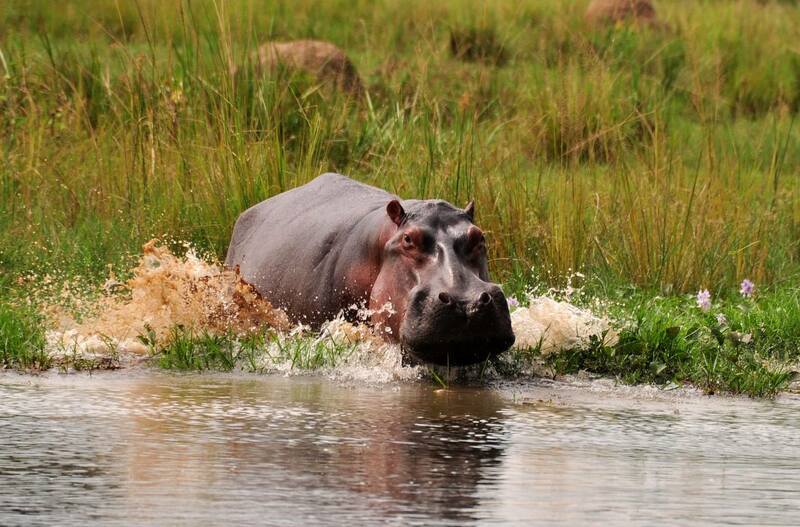 Africa Adventure Safaris is a one-stop-shop. They cover everything from transportation to accommodations, and guides to permits. I’m putting it all in their hands and hoping for the adventure of a lifetime. Here is my itinerary. 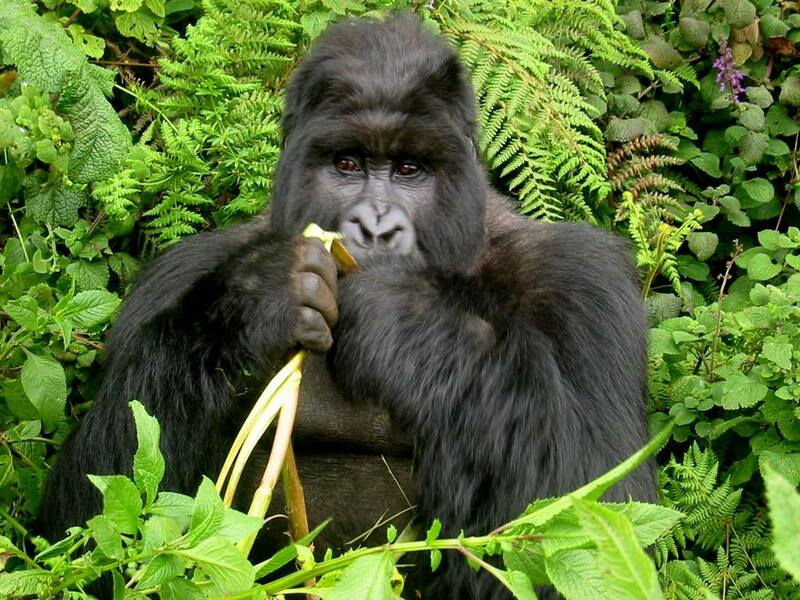 Is gorilla trekking on your list? This is the way to go. 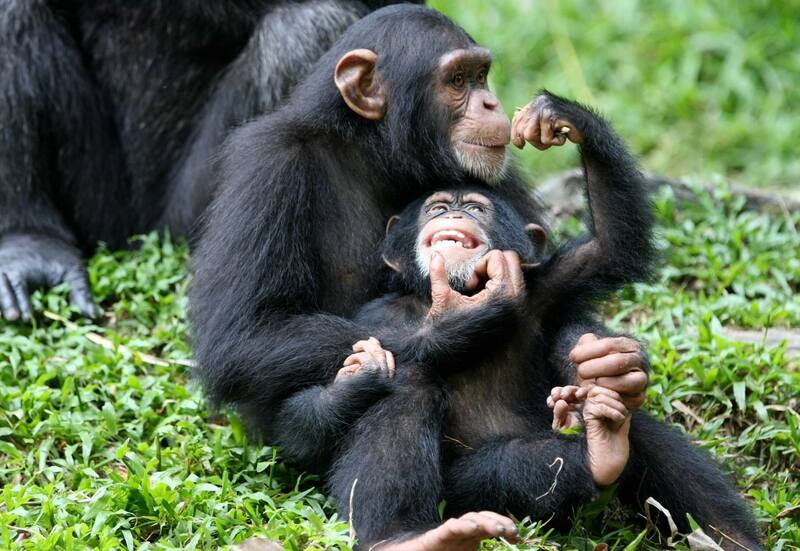 At 6:00am, you will be picked from your hotel in Kampala and set off to Kibale Forest National Park reaching early for afternoon chimp tracking. Dinner and overnight at Chimpanzee Guest House. In the morning after a relaxed breakfast, you will transfer to Queen Elizabeth National Park reaching early for a boat cruise on the Kazinga Channel. This will reward you with game as hippos, crocodiles, elephants and buffalo, among others. You will then go for evening game drive. Dinner and overnight at Enganzi Lodge. After an early breakfast, transfer to Bwindi National Park through the Ishasha. 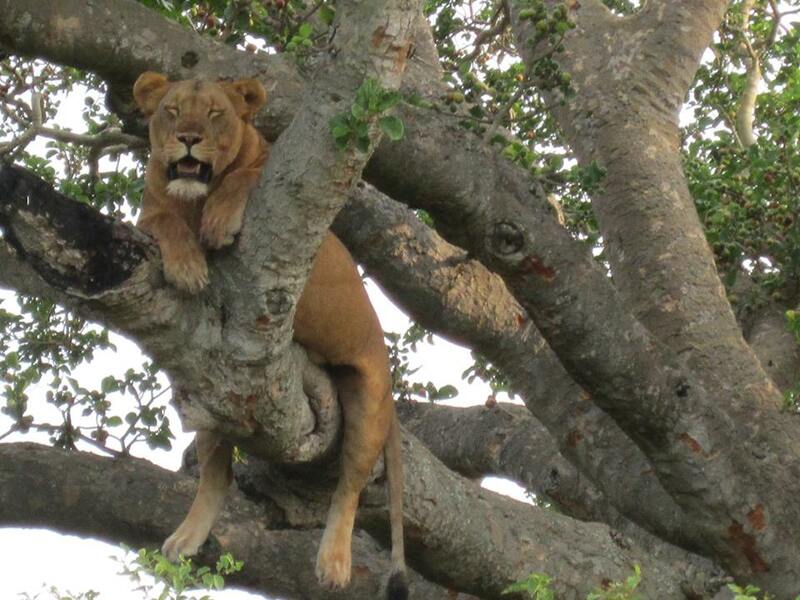 Here, tree-climbing lions are common. You will have lunch en route and proceed to Bwindi National Park reaching in the evening. Dinner and Overnight stay at Bakiga Lodge. After an early morning breakfast, walk to the park headquarters for briefing and later follow the gorilla trail. It normally takes between 1 to 6 hours to encounter the gorillas. You will be allowed to stay in the presence of these awesome primates for at least an hour. It is advisable that you carry packed lunch, as one cannot determine how long it may take to encounter the mountain gorillas. In the evening, you may go for cultural walk to the Batwa community. You will then drive to Lake Bunyonyi for overnight at Bunyonyi Overland resort. In the morning after an early breakfast, you will set off back to Kampala. There will be several stopovers to do shopping and photography. You’ll reach Kampala in the afternoon and transfer to Entebbe airport at 4pm to check in for your departure flight. Here’s a video with highlights from the trip. Yep, it’s Gorillas in the Mist made reality. I’ll embark on this adventure in May. It is the highest item on my 2015 bucket list (after sailing to Antarctica on Bark Europa but that one is already complete). What tops your list? Did you even know that a gorilla trekking itinerary was possible?